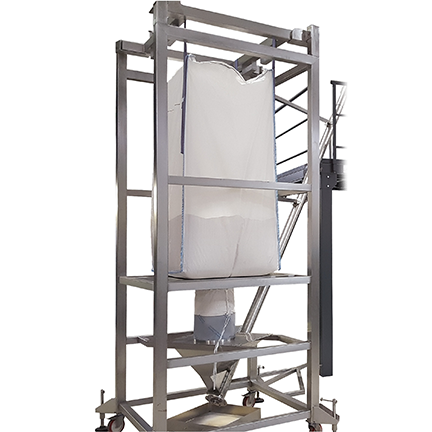 Here below are represented elevators and brackets to feed the dosing systems. Pentavac also supplies counting systems of its production. 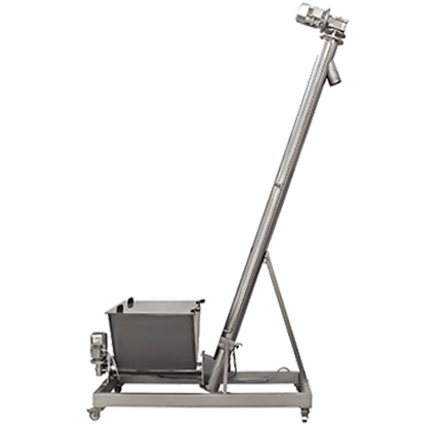 Auger elevator suitable for powder products. 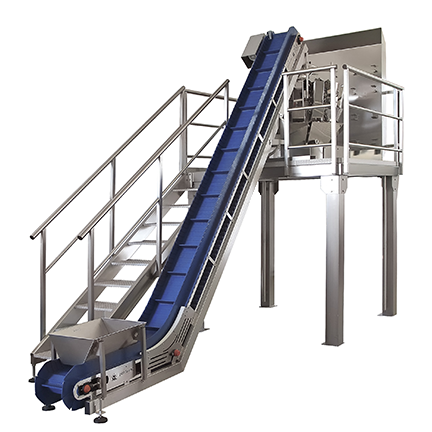 Loading Conveyor in stainless steel with flat part, completely washable. Bracket for Big Bag combined with an auger elevator. also for coffee capsules, frozen roquettes, etc. screws so that they can be detected by the counting photocell. allows to count objects of different shapes and sizes. in order to avoid inactions and downtimes.